Everything I hear about Bounce Exchange is very positive but because of the pricing I haven’t had the chance to try it out yet. Bounce Exchange basically allows you to convert visitors that are about to abandon your site. This is done by having a pop up display as the user is about to leave. The user is presented with an offer, almost always incentivized with a free download of a white paper, ebook, buying guide etc. Now instead of losing that visitor you have been able to move them into the top of the funnel. Bounce Exchange appears to be a great service and if you have the budget I would suggest looking into their service. You can see the pricing here. Now if you are like me and are always looking for alternatives, here is a list of Bounce Exchange alternatives that you can test. Exit Mist is a relatively new player in this field but have a strong offering. The user experience is intuitive and the process of creating a new setting up a new pop is quick and simple. You can select to use an image popup, optin popup, or 2-step popup. You are also able to customize the timing of the popup, so you can test using a timed popup and using exit intent. If you have several sites or an agency you can take advantage of their campaigns to separate by campaigns by domain. Exit Mist also offers a nice dashboard when you log in that gives you fast way to check the main stats of your campaigns. Be default you will also receive a daily summary email that includes the number of views, the number of subscribers you gained and your conversion rate. Exit Mist is competitively priced with the starter plan at $19/month. Picreel offers similar functionality and predicts a user about to leave and displays a pop up. 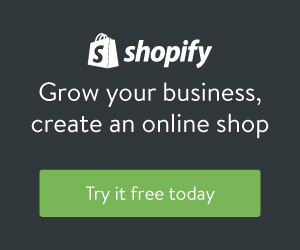 Picreel offers a custom designed pop up so you can match your current site design and integrates with your existing email marketing provider. They also allow you to A/B test your pop us and offers and give you an analytics dashboard to track performance. Pricing starts at $99/month on a monthly plan with a free 30 day trial available. Update – Picreel pricing starts at $19/month when billed monthly and $14/month when you choose the yearly billing. They still offer a free 30 day trial that does not require a credit card. Exit Monitor used the same principles to predict exits and displays a pop up with an offer before the user leaves. Pricing starts at $249 a month. OptinMonster uses exit intent to determine when to display your offer. What is nice about OptinMonster is how many options they give you. First you can design your pop or have one built for you but they also give you the ability to choose the type of pop up to display. They have lightbox popup, floating footer bar and slide in. OptinMonster also allows you to target your pop ups by the page a user is on, their traffic source (e.g. paid search vs organic). OptinMonster also ties in nicely to WordPress which means you will have control over the pages, posts and categories you display your offers on. Pricing starts at $49/month. 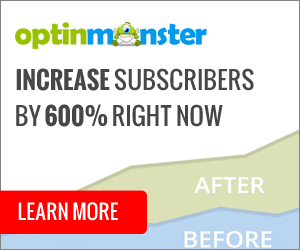 Update – OptinMonster starts at $19/month when billed monthly and $9/month when billed annually. CartRocket gives you the ability to trade discounts in exchange for social actions. An example of this would be providing a 5% discount for liking your Facebook page or following you on Twitter. CartRocket allows you to “stack” the discounts on top of each other so you could provide a 5% discount for up to three social actions and the visitor could take advantage of all 3 offers, resulting in a 15% discount. In addition to the social offers they alow have a cart saver for saving abandoned carts. The social media offers and the cart saver program can be run together or separately. CartRocket offers a free 30 day trial but if you decide to buy their pricing model is built on the total number of actions you have. Pricing starts at $29.95. POPU.PS is similar to Optin Monster in that you will have plenty of choices on the design of your pop up, you can see examples of them all here. POPU.PS allows you to use the same exit intent philosphy as Bounce Exchange to show your pop up right before a user is about to leave but also allows you to display your pop ups on page load. If you don’t have the ability or don’t have the time to create your own I have found an open source version on Github. The code is available here thanks to Carl Sednaoui.